The Chicago startup community was in full swing last night at Rockit Bar and Grill to celebrate the successes of 4 of Catapult's newest graduating companies: Tempo-DB, BidMed, Shiftgig and BucketFeet. Combined, these companies have raised over $15 million and have hired over 50 employees. Read more about it in BuiltinChicago and in Chicago Grid. Their success at Catapult, however, goes beyond the metrics of users, sales, hires and funding (albeit that's a huge part of it). At Catapult, the founders of these startups matured and developed as leaders so they could take their companies to the next level. They built up their company culture and fostered relationships within the peer-selected, diverse Catapult community of later-stage startups (scale-ups), as well as in the broader Chicago startup ecosystem. "At Catapult, we learned how to work right. Our peers are who helped us get to where we are today," said Raaja Nemani, BucketFeet co-founder and CEO. "Catapult provided the testing ground that we needed. It helped us build the right foundation," said Joanne Frogge, BidMed co-founder and COO. A giant thank you to our event sponsors who helped make the evening possible: Morningstar, Foley & Lardner, CDW, Pritzker Group, Elance, ServerCentral, OCA Ventures, and Chicago Grid. As a non-profit organization, we are also grateful for the ongoing support of our corporate sponsors: Foley & Lardner, EmpowerHR, Propllr, Wintrust, Converged Communications Systems, Stratosphere Networks, AllSteel, Henricksen, Plante Moran, Marsh, Jones Lang LaSalle, and CDW. Calling all engineers, programmers, coders, hackers, UX specialists: come meet the entrepreneurs and developers behind four of the most dynamic EdTech start-ups in Chicago today discuss their personal stories and current openings for developers and designers. Please note, this Educelerate event is intended for technology folks interested in joining an education technology start-up, and given the sensitive and technical focus of the conversation, we are asking that just our IT trained Educelerants attend. To attend this event, you must prove you are an engineer or designer by either linking to your LinkedIn profile or online portfolio, submit a resume or show other proof of work/position/education. Join the disruption and register now! On June 18th, MentorMob is proud to host the opening reception for the 5th annual Flipped Conference. Proponents of “flipped classrooms” are interested in transitioning from an educational model where students passively listen to a teacher who functions as thesage on the stage to an environment where students actively work through new concepts while the teacher serves as a guide on the side. And the Flipped Conference gives these educators a place to cultivate ideas, share experiences, and develop course work around the flipped classroom model. So by taking advantage of the latest educational technologies, a student’s experience can actually become more collaborative. In person tickets for the Flipped Conference have sold out, but you can still register for virtual attendance. The Techweek 100 gives credit to those individuals who are impacting the business and technology landscape on a global scale, from those managing fast-growing technology companies to inventing new computer programming languages. The Techweek 100 is not a ranking but rather a list of 100 technology leaders chosen through a review of audience-chosen nominees by the Techweek advisors and the Techweek team. Honorees will be invited to the Techweek Conference & Expo as special guests, highlighted at the Techweek VIP Party and included in Techweek 100 media, both online and in print. We invite you to attend an open house celebrating our grand opening. Come check out and tour our 12,000 square-foot space and enjoy an evening of free-flowing conversation, cocktails and get to know the startups that have recently joined our team. 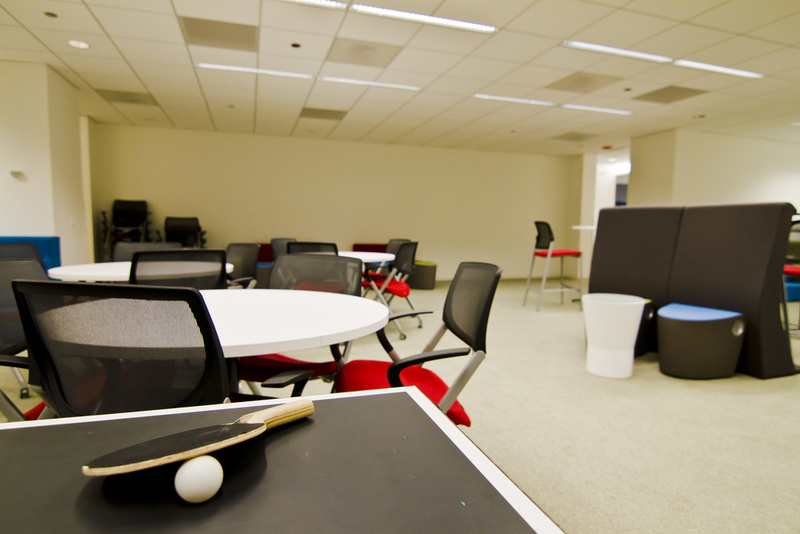 Wednesday, June 13th 5:30 - 8:30 pm Catapult is located at: 321 N. Clark Street, Suite 2550 Chicago, IL 60654 Get Directions!